Situated along the hustle and bustle of Roxas Boulevard, Pasay City, a luxury hotel facing the alluring sunset from Manila Bay with unlimited access to everything is beyond 360° beauty. 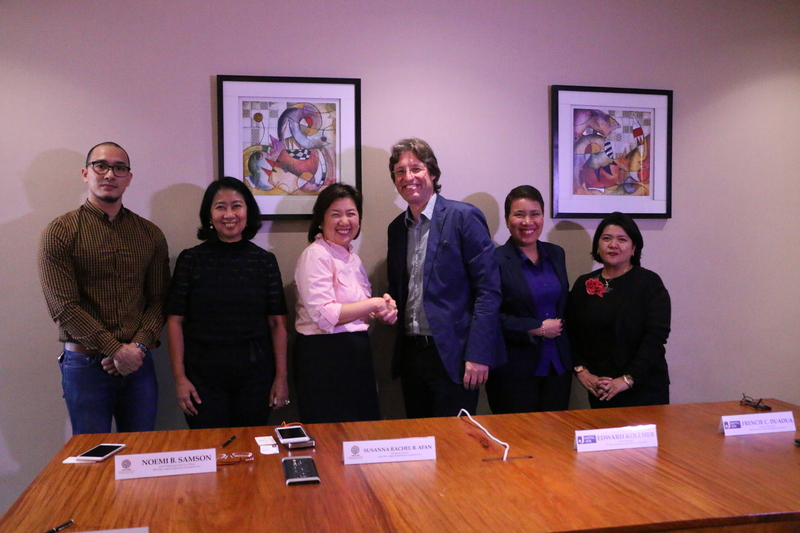 In First Photo: Paul Mercado-Chief Marketing Head of ALKFI; Noemi Samson- ALKFI Chief Finance Officer; Susan B. Afan-ALKFI Managing Director, Edward Kollmer-General Manager, Hotel Jen Manila, Frencie Duadua- Director of Operations, Hotel Jen Manila and Jocelyn Pañen- Pollution Control Officer, Genetron. Hotel Jen, a unique brand and one of the mid-range hotels of Shangri-La Hotel continues its social responsibility through partnering with ABS-CBN Lingkod Kapamilya Foundation’s environmental endeavors. Its commitment to continue the environmental advocacy has led Hotel Jen to donate its used oils to Bantay Langis project of Bantay Kalikasan. The management believes that their used oils should be disposed properly to avoid its hazardous effect to the environment. “ We both believe as a company that for us to become better citizens, we need to make sure that our environment is safe not only for us but for our children”, stated Frencie Duadua, Director of Operations, Hotel Jen. Known as hotel for “New Generation of travellers”, Hotel Jen is beyond their millennial service, its social responsibility is realistic enough to contribute for the environment as well as to future generations through Bantay Kalikasan.